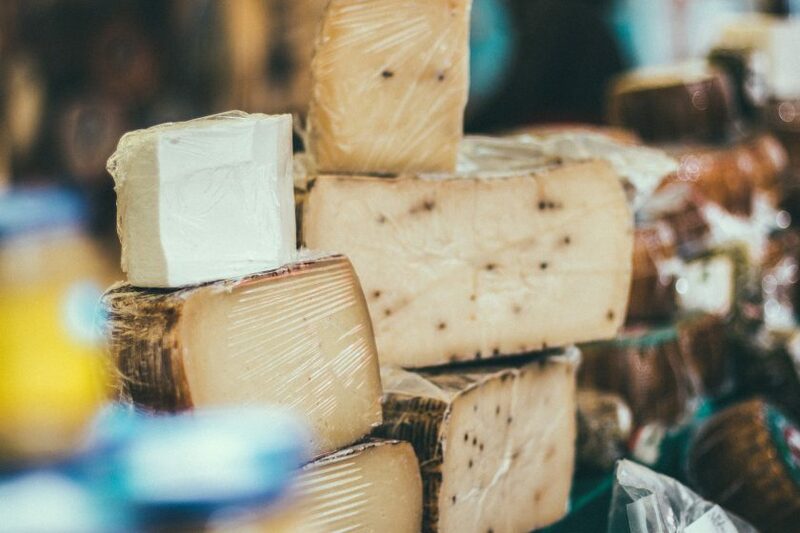 Are cheese and beer better together? Definitely. Roger Hart tells us why. I know people who don’t drink much (or at all), but who come to the festival for the cheese counter. No wonder – it’s as carefully selected and interesting as the beer. But if you are drinking beer, here are a few complimentary cheese suggestions. The simple creaminess of brie (and similar gooey, but mild, cheeses) should stand on its own. So a golden ale with a little fruit (maybe Moonshine’s Heavenly Matter, or Crafty Beer’s ever-popular Sauvignon Blonde) would go beautifully. You also wouldn’t go far wrong with a white stilton. Get your goat. To be honest, goat’s cheese will go with anything hefty and complex: a big dry stout or a black IPA. Try one with toasty malts like Cloudwater’s DIPA or BrewBoard’s Handroid. But hops can blast through subtle flavours, so this might be the place for cheeses with washed rinds. Stinking Bishop is a classic. Or you could double down on bitter: Hereford Hop is a semi-hard cheese with hops packed into the rind. A well-made bitter is what many think of when you say “ale”, and cheddar isn’t far off the same for cheese. They work together, too. With both, there aren’t any overpowering flavours, there is a little sharpness, and the craftsmanship is front and centre. Try a pint of Grain’s Redwood or New River’s Riverbed Red with Wensleydale, or even a crumbly ewe’s cheese. Y Fenni is a classic Welsh cheese, made with beer and mustard, and it’s great with a robust bitter. Perhaps Abstract Jungle’s Easy, at the fruitier end. Stronger bitters, bests, and old ales will complement the smoked versions of similar cheese. Try a Swannay Orkney Best, or a beer that’s smoked itself. A stout with a bit of sweetness just belongs with a nice salty blue. Something creamy like a Cambridge Blue, or a Dolcelatte will have the body to go with a big, hefty porter, or a sweeter stout. A really mature, crumbly stilton could overshoot here, but try something like Nene Valley’s big, rich Bible Black with the creamy blues. Milds are dark but easy-drinking, often with a touch of nut and caramel. 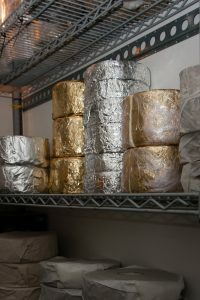 Alpine-style semi-hard cheeses have softness and nuttiness to match. Both are subtle. The UK makes gruyere in Cheshire, or you really can’t beat a Cornish Yarg. I like every mild on the list this year, but try Great Heck’s Voodoo Mild. Obviously we can’t cover everything. What about wheat beers (I’d go brie), or cheeses with fruit in (Moor’s Hoppiness)? We have around 200 beers from the UK alone, and well over 50 cheeses. New cheeses will be available each day, and we do our best to keep as many of the beers on at once as possible, so there are plenty of chances to discover an exciting new pairing.